Lead Time: Usually ships within 5 to 7 days. Can be sooner if ordered by case packs. The centerpiece of any hotel room is the bed. And if the centerpiece of that bed is the soaring cloud of an Elevations™ comforter, your guests know they’ve just taken a big step up in performance. And yet, that extravagant loft is the cost-saving secret of the Elevations comforter. 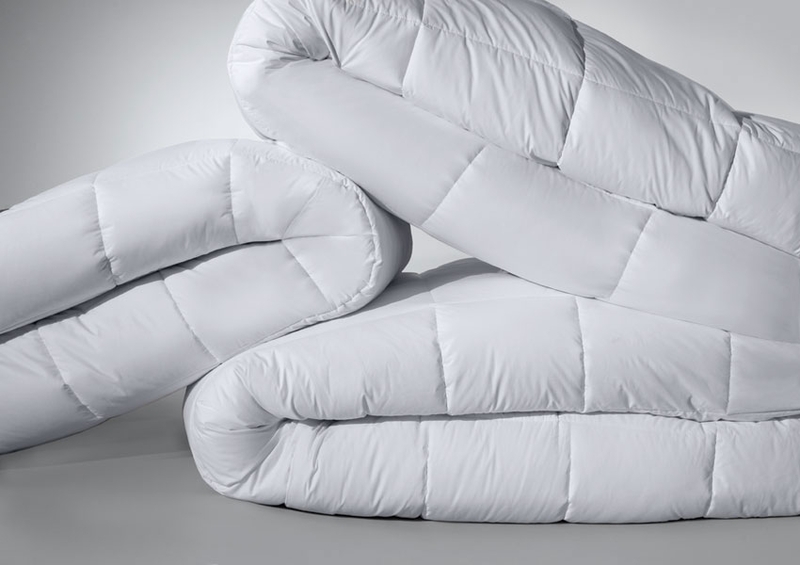 Standard Textile engineered this comforter to have more fill on top, where warmth matters most, and less on the sides, reducing un-needed weight. The real beauty of an Elevations comforter is in its performance. Comforters take a beating in the room and in the laundry. But this comforter can take the punishment, with its tough, 100% hypoallergenic blended fabric ticking and soft 100% recycled polyester fill combine with a unique box stitch quilting pattern that resists clumping. Its surprisingly lighter weight and faster drying time significantly lowers your laundry costs, and its sheer durability means a much longer working life. 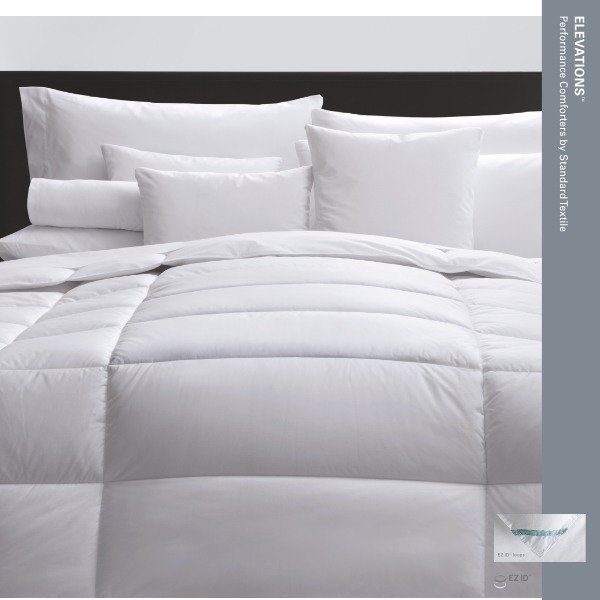 An Elevations comforter looks and feels like the height of comfort, but it actually delivers the height of performance. Case pack of 2 each. Price each.